What an incredible day! 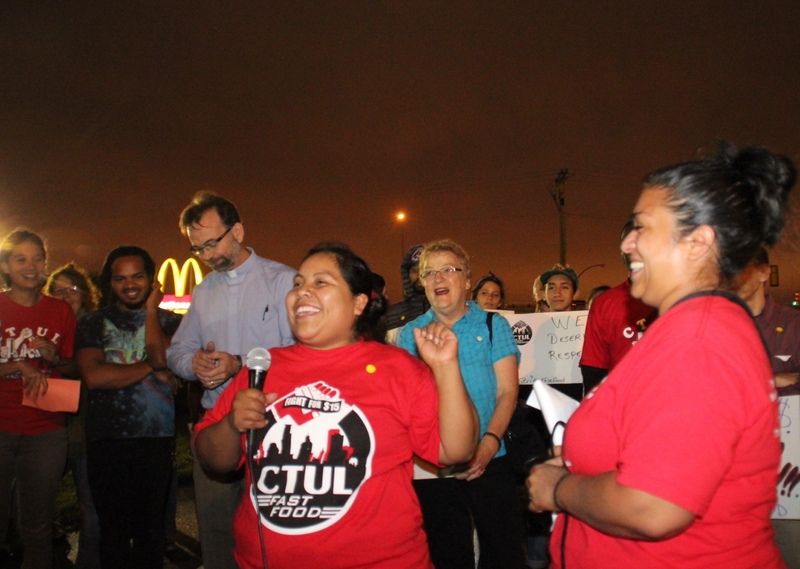 CTUL organized with 29 fast food workers who went on strike in the Twin Cities, and according to workers, the strike shut down the kitchen of the McDonald’s at Broadway and University. 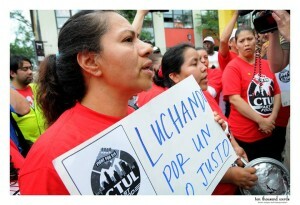 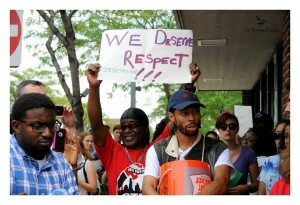 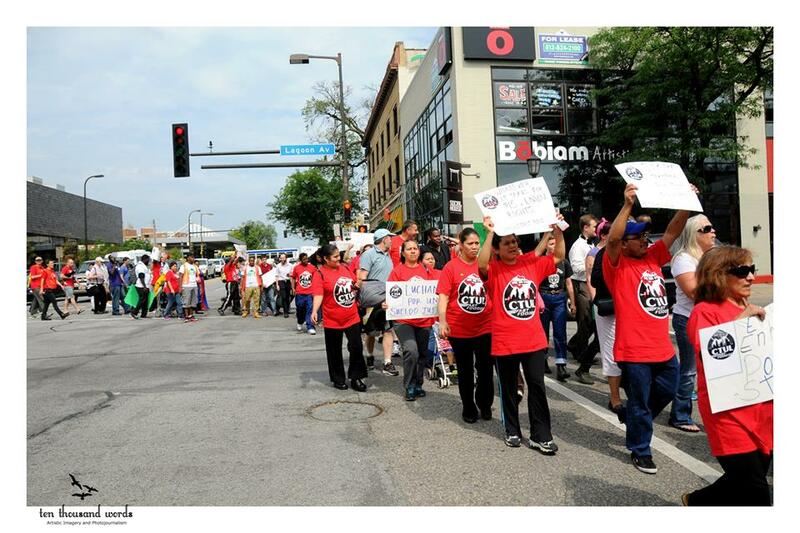 Over 250 workers and community allies poured into the streets for two actions with workers. 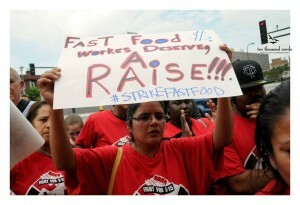 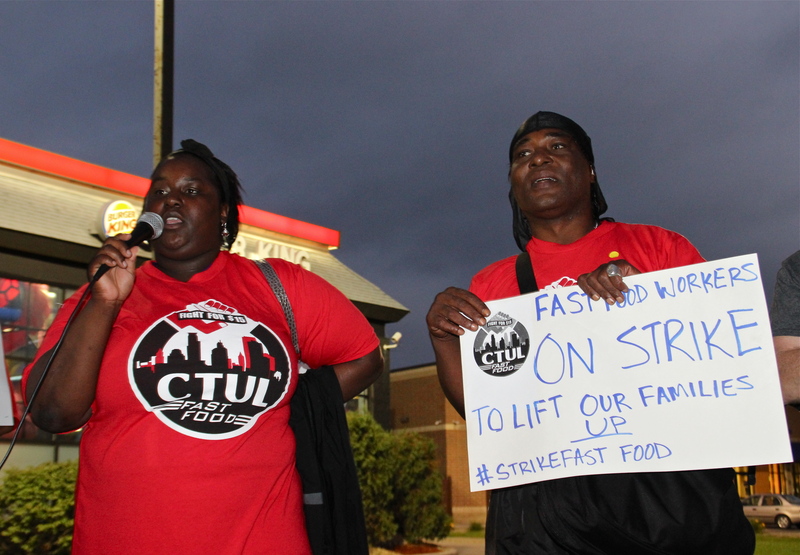 And nationally, thousands of fast food workers went on strike in over 150 cities around the country, with over 500 fast food workers participating in actions of civil disobedience. 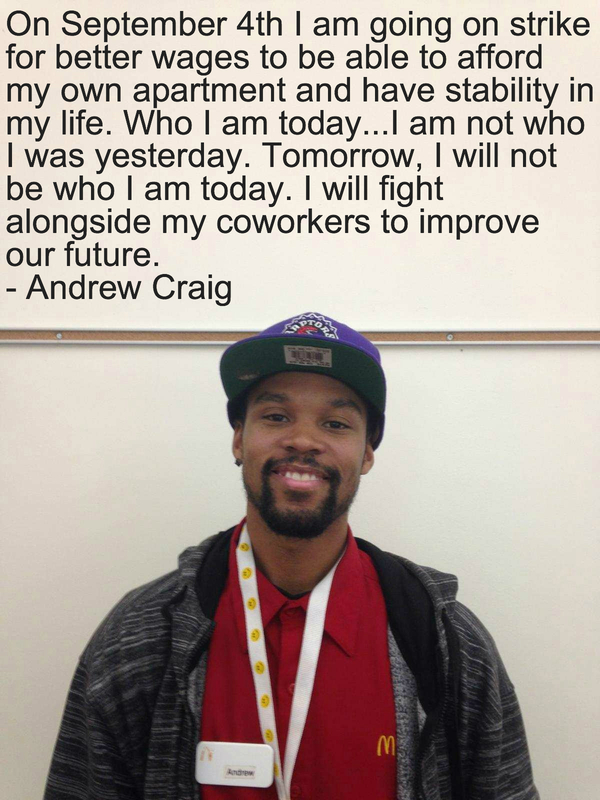 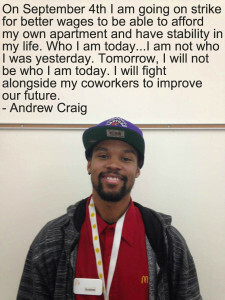 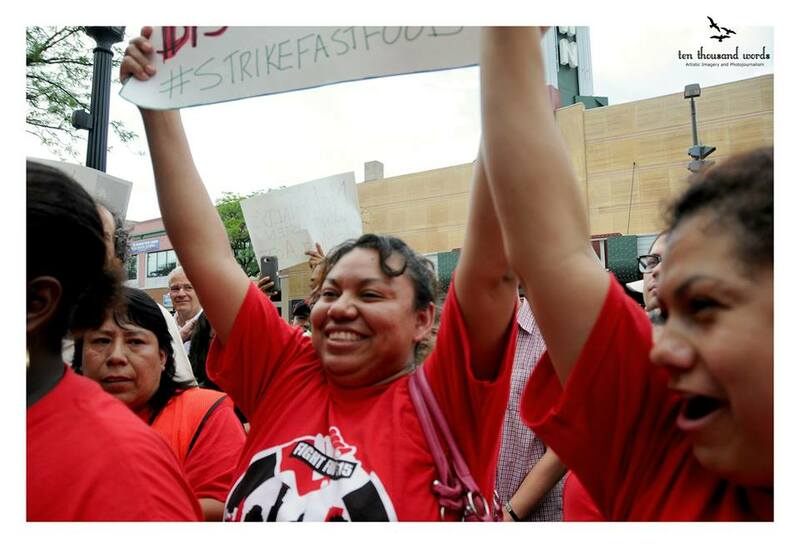 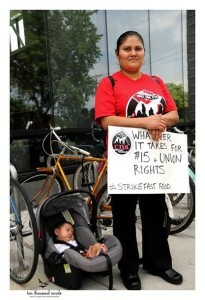 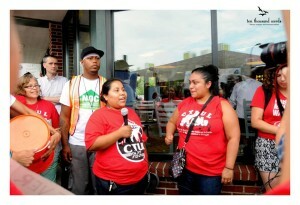 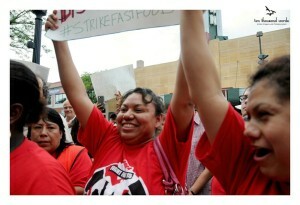 The world heard powerful stories from low-wage workers who are leading an inspiring movement for justice! 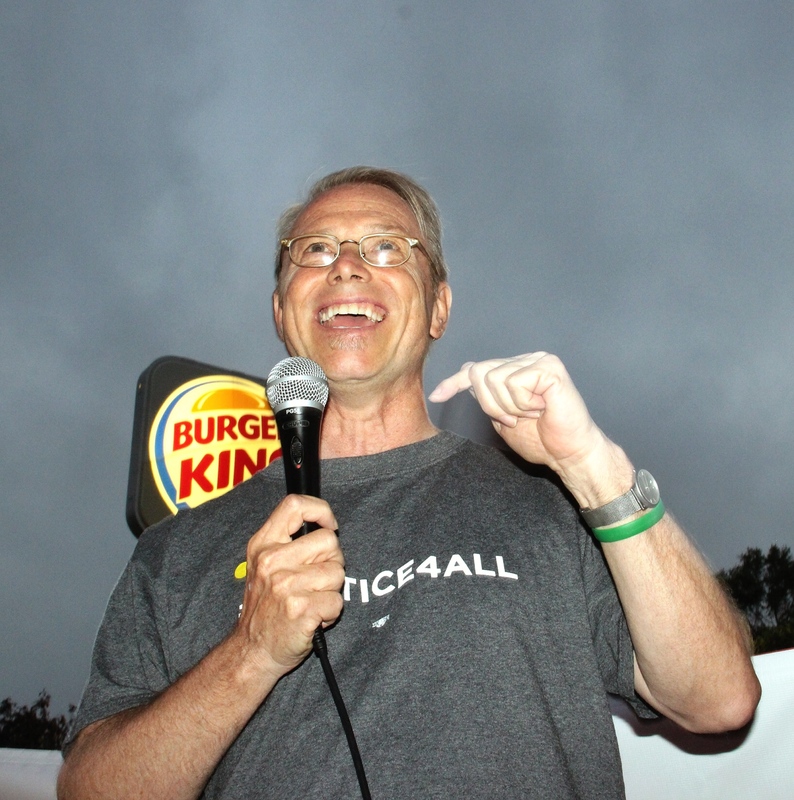 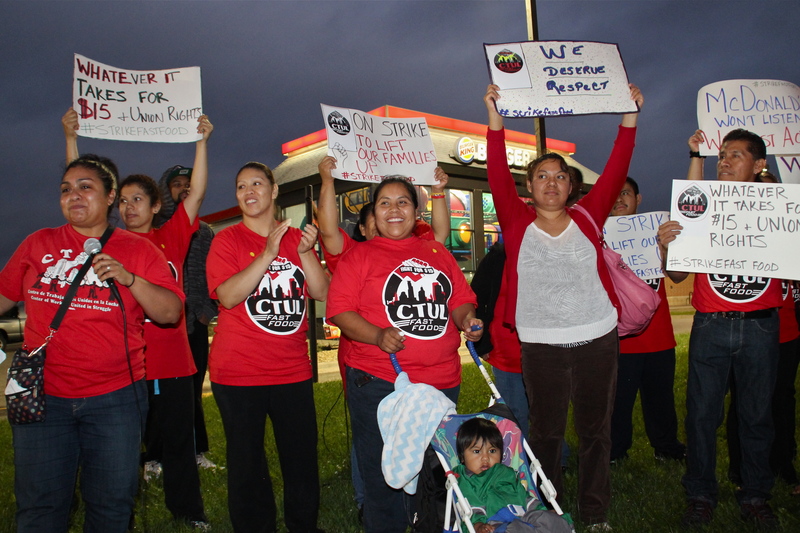 “Fast food workers demand higher wages and right to unionize,” NBC Kare 11, Melissa Colorado, Sept. 4, 2014 (includes video). “I believe that we should all have a raise at some point…I think it’s a good way to show the big people, the big corporations what we’re made of, what we stand for, what we believe in. 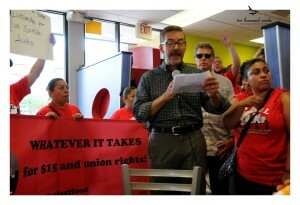 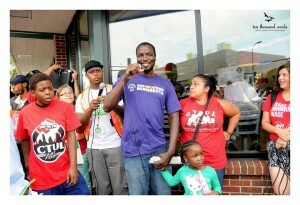 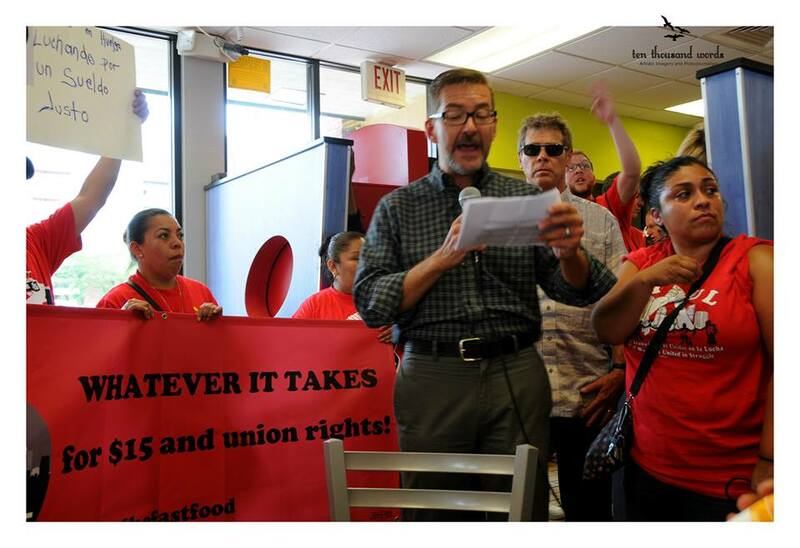 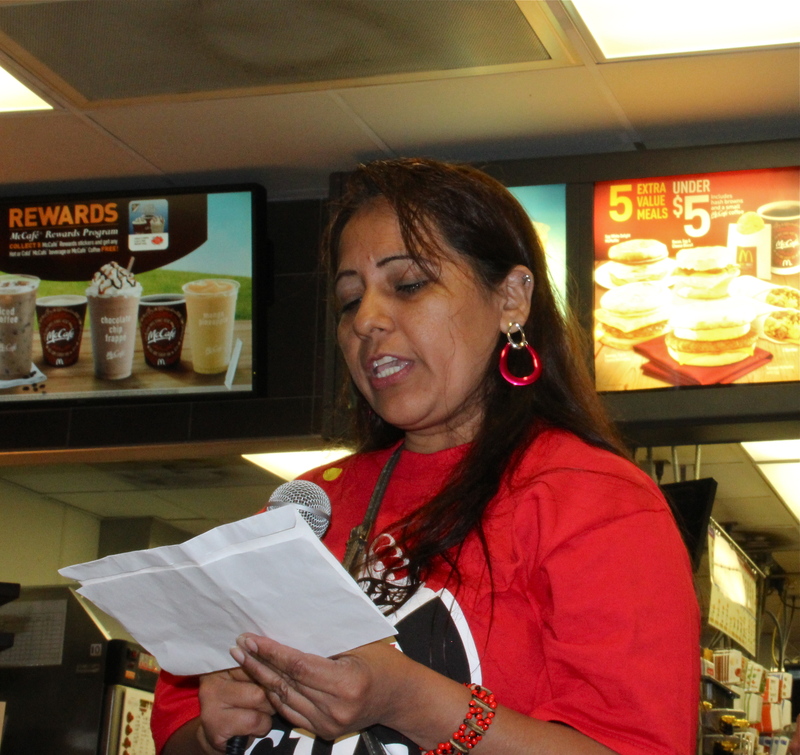 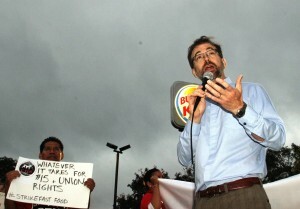 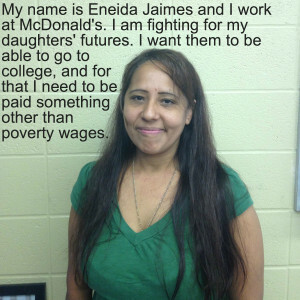 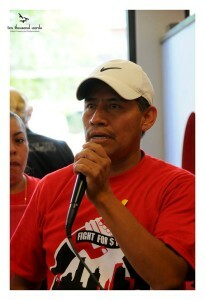 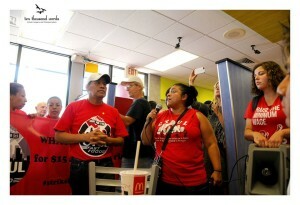 Our voices will be heard,” Guillermo Lindsay, McDonald’s worker and CTUL leader in the Twin Cities Strike. 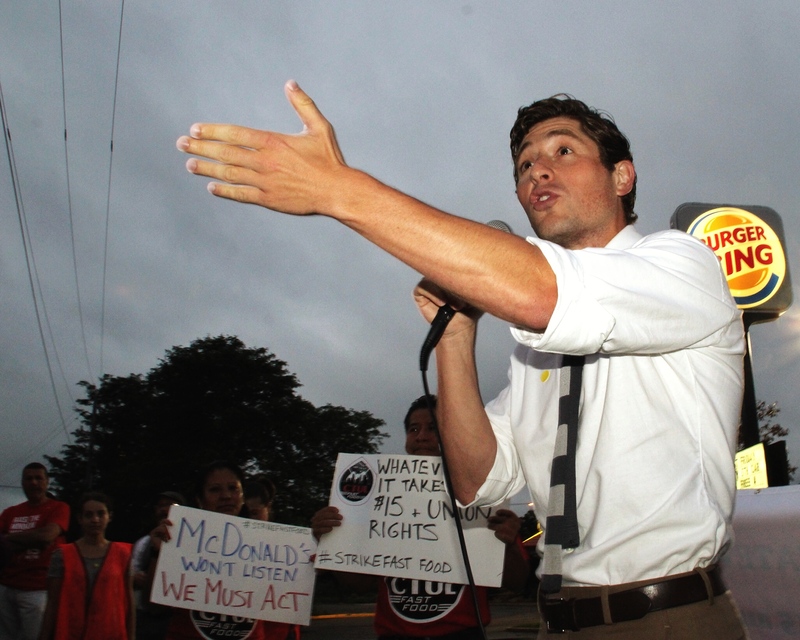 “Fast Food Workers Protest Wages at Minneapolis McDonald’s,” CBS Minnesota WCCO, Pat Kessler, Sept. 4, 2014 (includes video). 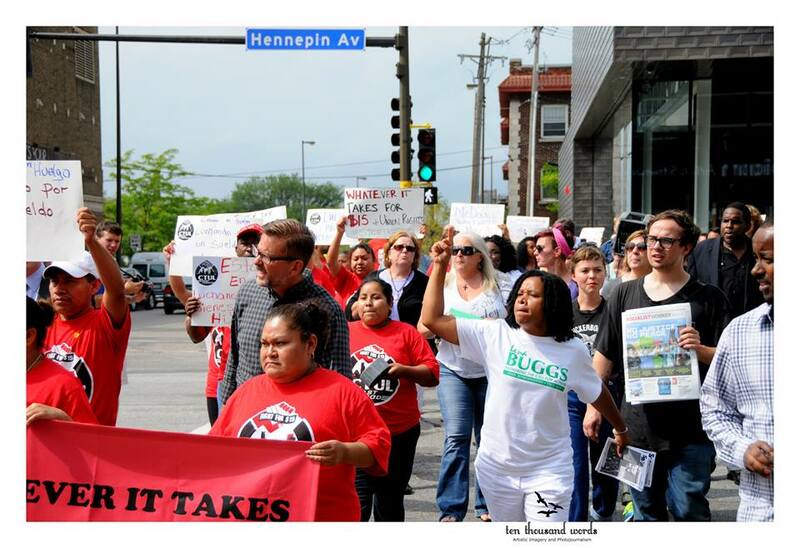 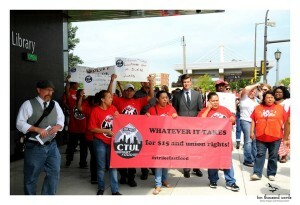 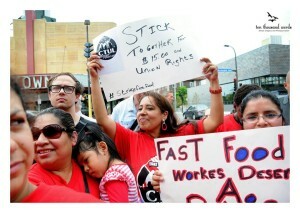 In the Twin Cities CTUL organized with fast food workers to prepare for the action. 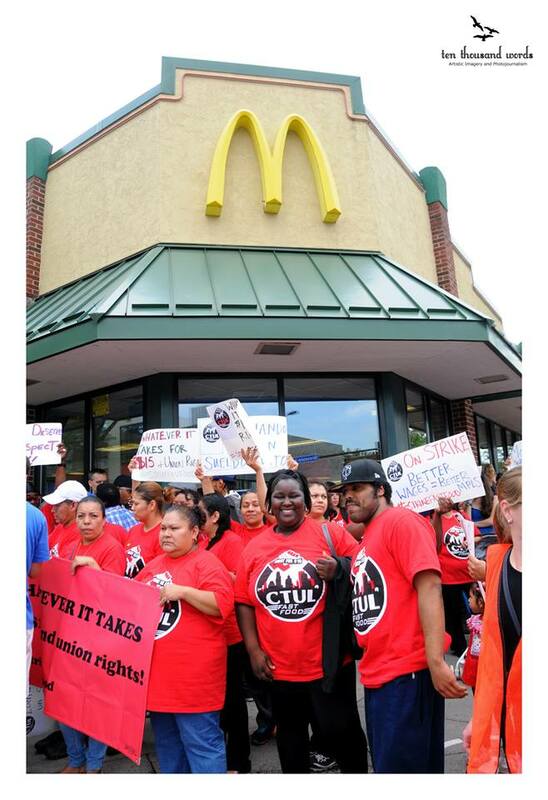 All told, 29 workers walking off their jobs, declaring publicly that they would no longer sit by idly suffering daily indignities of poverty wages and disrespect in their workplaces. 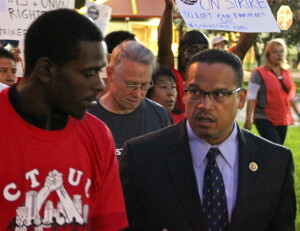 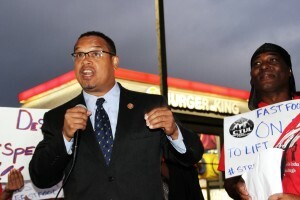 Over 250 community allies including U.S. Rep. Keith Ellison and other elected officials, poured into the streets over the course to the day to stand side-by-side with workers. 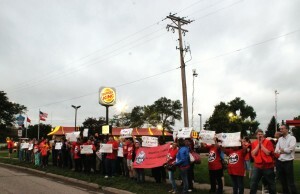 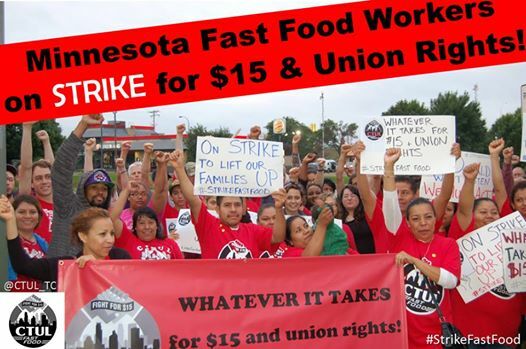 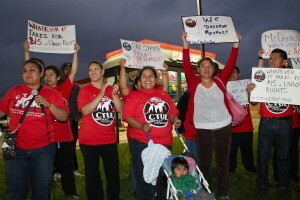 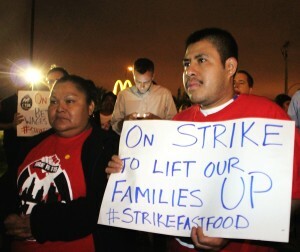 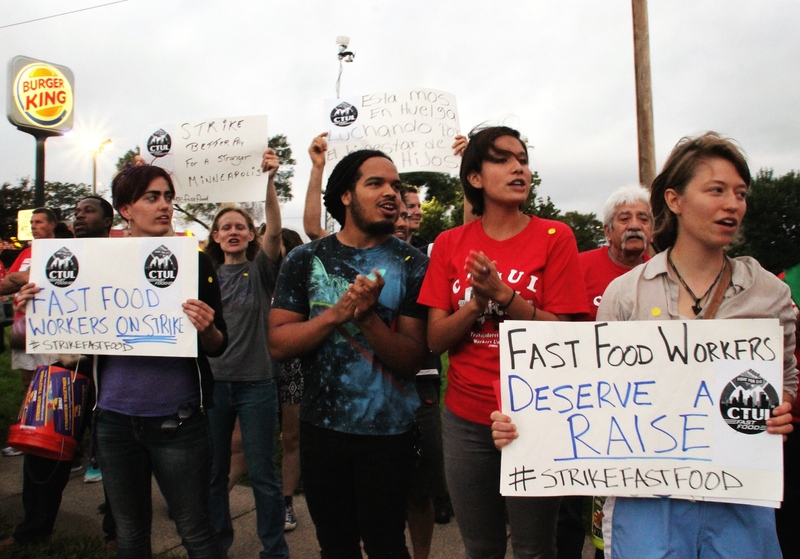 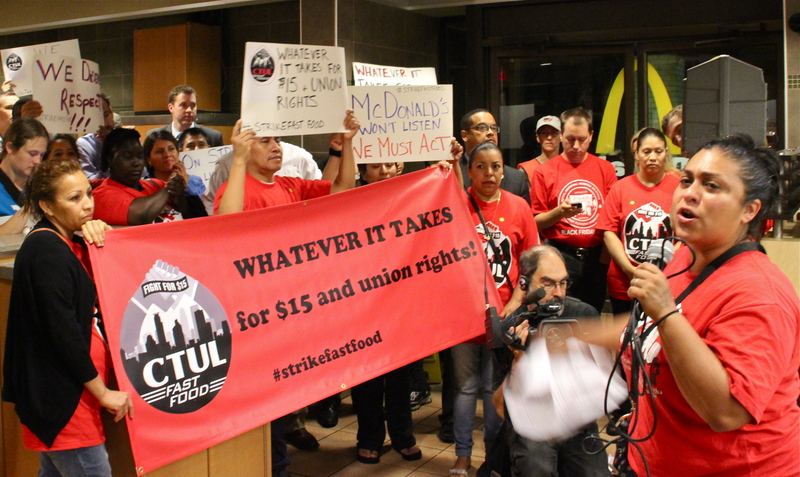 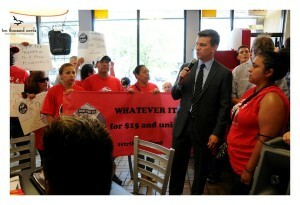 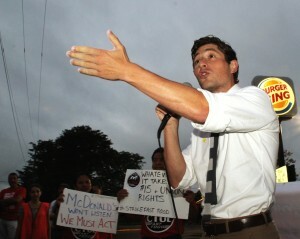 Workers led two actions: 6:00am at the McDonald’s in NE Minneapolis near The Quarry, and 12:30pm at the McDonald’s in Uptown Minneapolis. Inspired by the action, City Councilmembers Alondra Cano and Jacob Frey are now exploring increasing the minimum wage in Minneapolis to $15 an hour! “Minneapolis officials exploring raising minimum wage in city, à la Seattle“, City Pages, Aaron Rupar, Sept. 8, 2014. “Minneapolis leaders consider $15-an-hour base wage,” Star Tribune, Erin Golden, Sept. 10, 2014. 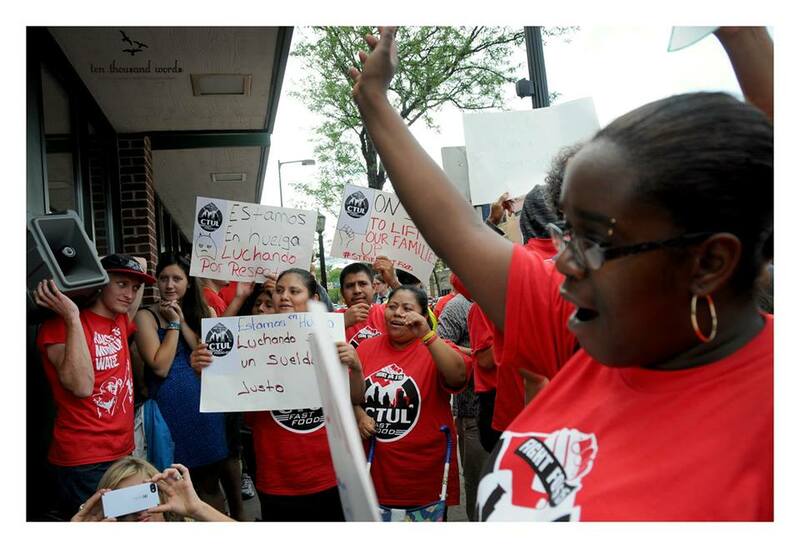 All of the workers are now back at work, and are planning next steps to build worker power here in the Twin Cities and gain real changes in the workplace. Check out more photos of the day of action below, and click here to read all the local press coverage.